The judge said, “If you happen to be too lucky while placing a bet or gambling, the person can simply say ‘no you’re not entitled to the money’. That is simply the law in Ireland”. PUNTERS BE WARNED: under Irish law winning gamblers have no legal guarantee of ever being paid a cent, a judge in the Circuit Civil Court has ruled. Judge Francis Comerford handed down the judgment in a legal action brought by Sayed Mirwais against Automatic Amusements Ltd, which trades as D1 Casino, and also against casino director Michael Donnelly. 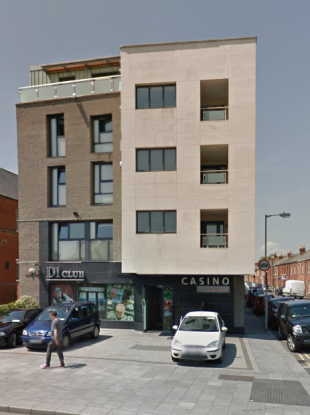 Mirwais had claimed that D1 Casino, of 63/64 Lower Dorset Street, Dublin, had refused to pay him €11,713 he had won after placing several bets on an automated roulette machine. He said that on the night of 2 and 3 March, 2015, he first won about €7,500. When he had wanted to cash it out, he had been given €2,500 in cash and €5,000 worth of chips, before being told to play more and he would be paid at the end of the night. The court heard that after he won a further €6,713, he was told by a manager to cash out. When he had gone to the cashier counter he had been told the casino had no more cash for the night but that he would be paid the following day. He had also been told that an engineer would later check the roulette machine. Mirwais (36), a married father of two with an address at St Mary’s Place, Phibsborough, Dublin, claimed the casino refused to pay him despite multiple requests. He claimed he was allowed to continue playing on the roulette machine in the hope he would lose and the casino had no intention of paying him if he won. He said it constituted an unfair commercial practice. The casino alleged that Mirwais changed the screen layout from single to double play mode in order to re-place a bet which had been placed in a previous game, enabling him to place a bet when the roulette ball had already settled. It had been unaware of the malfunction of the machine. When I was losing my money, the machine was ok and the casino was happy to take it, but when I won, they wanted to investigate. “If you happen to be too lucky while placing a bet or gambling, the person can simply say ‘no you’re not entitled to the money’. That is simply the law in Ireland,” the judge said. He dismissed Mirwais’ claim and refused an application by the casino for their legal costs on the basis that they had only furnished, by way of discovery, ten minutes of CCTV footage of the night in question. Email “Judge rules winning gamblers have no legal guarantee of being paid”. Feedback on “Judge rules winning gamblers have no legal guarantee of being paid”.